I will be giving a presentation Saturday on Fossils and the Internet. A short presentation about different websites on the Internet pertaining to fossils. 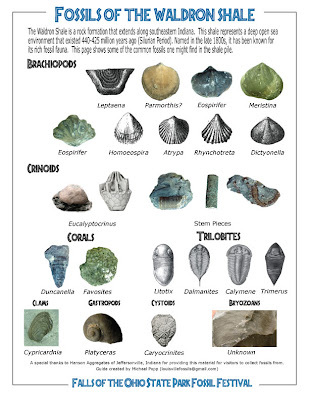 The image above is a sheet, entitled "Fossils of the Waldron Shale". I created it to help visitors identify the fossils they can find in the Silurian aged rock pile at the edge of the parking lot. There will also be piles of dirt to find Devonian fossils and fluorite minerals from Illinois. 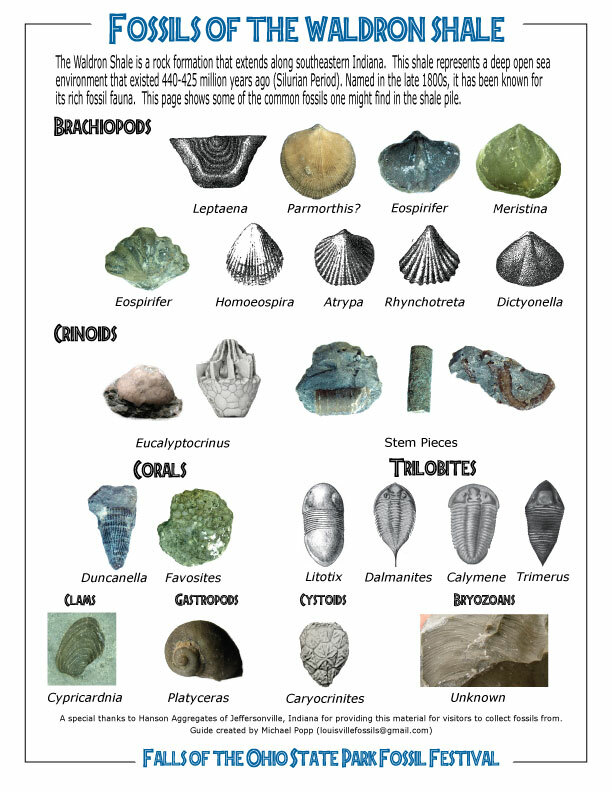 If any one would like a PDF version of the Waldron Shale Fossils identification page, e-mail me at louisvillefossils@gmail.com. The Blogger software does not let me post PDF files. This is my first find of a scolecodont in the Waldron Shale of Clark County, Indiana. It was found while studying a slab for graptolites after seeing an iridescent (rainbow) pattern in the sunlight being reflected into my loupe. The hook like shape is a visual signature of some scolecodonts. This Waldron shale breaks down in water quite easily and after isolating the fossil from the slab with an engraver, dental pick, pen knife, and spray bottle. The shale flake containing the fossil was put on a microscope slide and these images were produced. 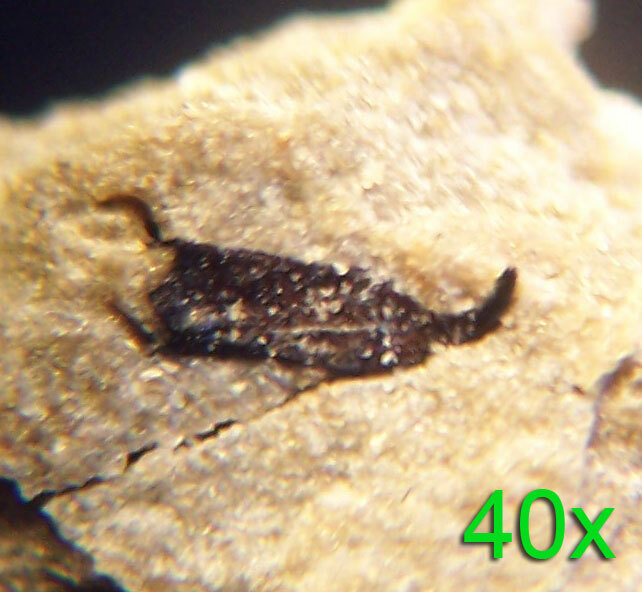 I used a needle tool to move more matrix from the fossil which revealed how fragile it and the matrix was. The scolecodont had cracks and pieces did break off after being separated from the majority of the matrix. This fossil is not a resilient as the Ordovician ones I am use to working with. 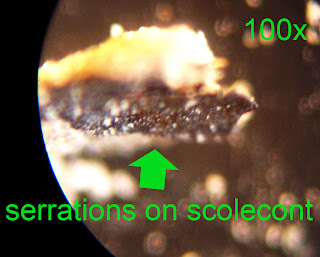 My intent was too look for the serrated edge that runs along the top of the fossil. 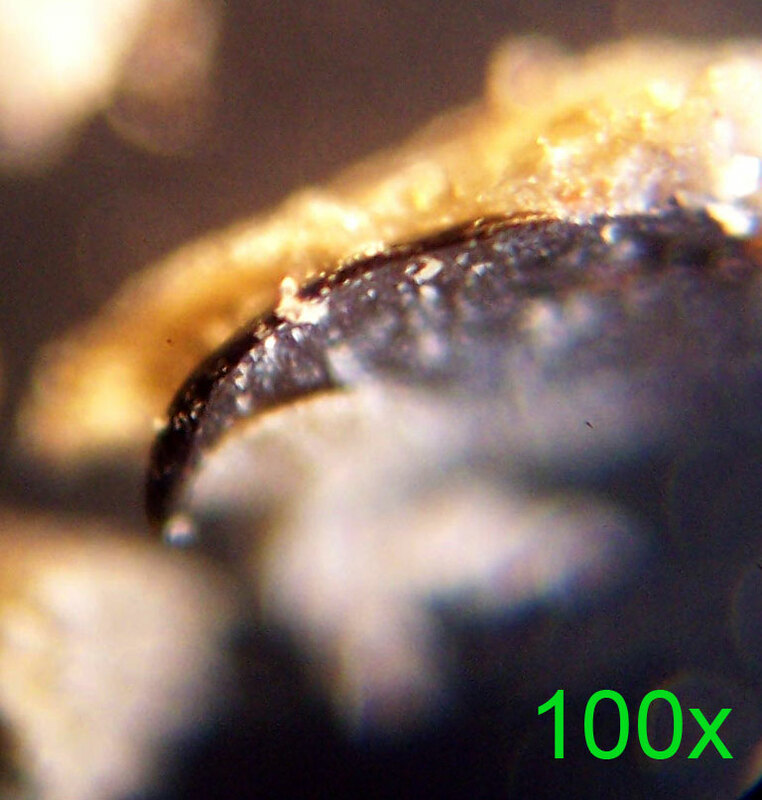 It was found at 100x magnification (though not very photogenic). Unsure about its name and I have not really researched Silurian Period scolecodonts before. Most of the sources I know are on the Ordovician ones found east of the city. 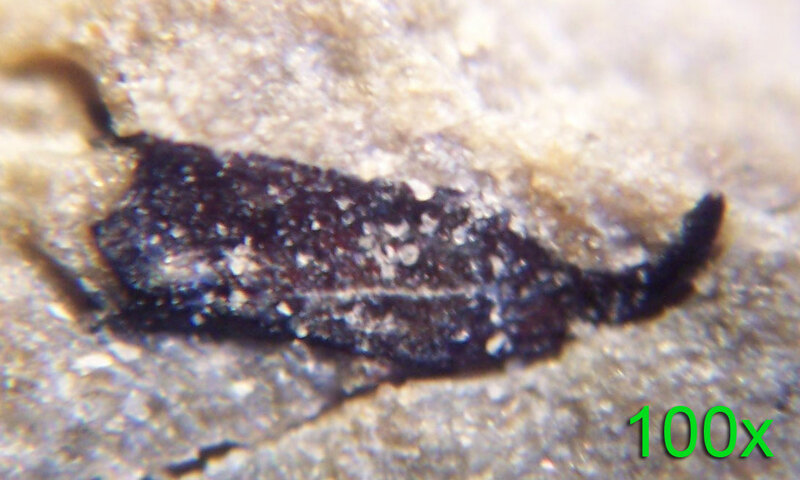 The 100x images are somewhat blurry but the serrated edge is intact on this fossil (just very small).